Hey! It's the Nation's Birthday coming up! That seems like reason enough to do some celebrating. It's summer in this scenario so it only seems appropriate to celebrate the season of fruit. 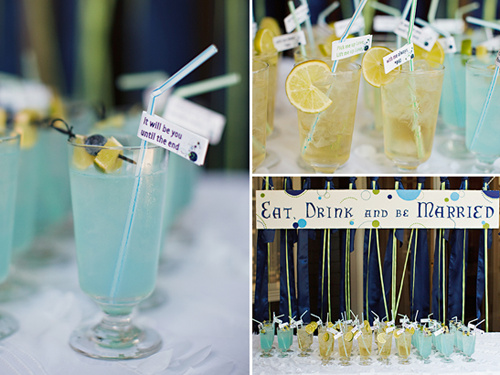 And fruit as cocktail skewers? I think so. Just switch out the lovely yellow for an additional lovely pinkish red and white-ish white and you've got a very nice theme started. Send in the buglers! A few weeks ago we talked about tissue paper flowers. Beyond making a great inexpensive centerpiece, they make a great inexpensive boutonniere. These paper flower boutonnieres are easy to customize. 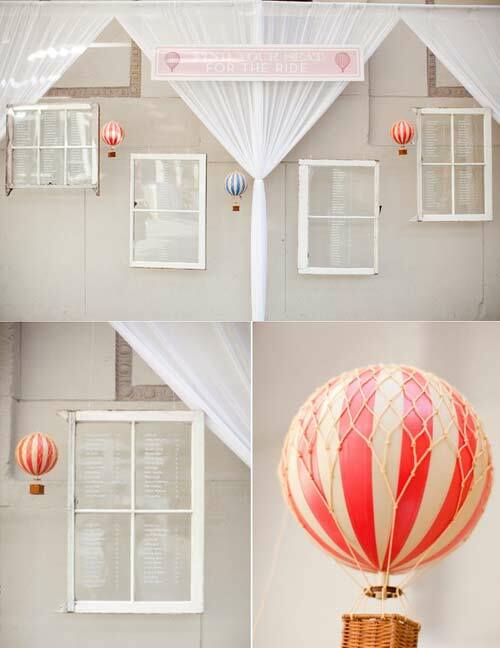 If you're adding pattern to your wedding, what a great place to throw it in as an accent. Also, imagine how easy this makes matching your groomsmen boutonnieres with your bridesmaids bouquets . 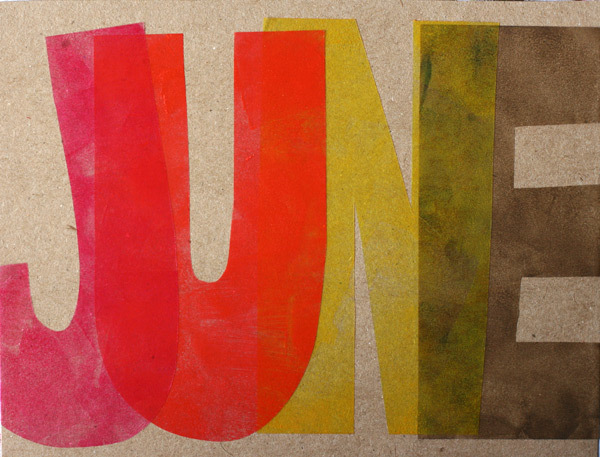 More of the Scrap Super Find made into Save the Dates! Boutonnieres kind of drive me crazy. I was in charge of them for my sister's wedding and I could not wrangle the live flowers. (You'll notice a lack of live flowers in my own pictures...it's because I'm TERRIBLE with live flowers.) Stems kept splitting. I only had what was left over from the bouquets. This is why I love boutonnieres that aren't based on live flowers. You can prepare them months in advance. You can pile them on top of each other. It can be 120 degrees outside (oh please dear God no) and they will look exactly the same as the day you constructed them. 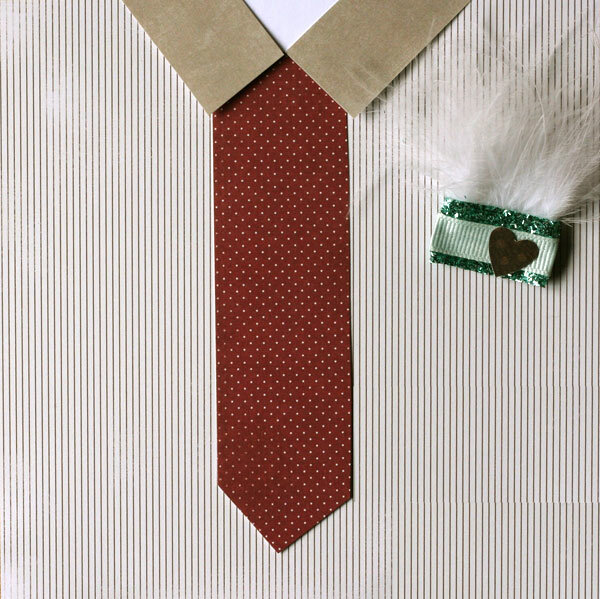 The above boutonniere was made with a feather trim. This stuff (like this one here) runs expensive. When I bought it I suddenly understood why lovely fabric flowers are always so expensive. I bought Papyrus Designer Ribbon. It's glittery and costs $5.95 per 10 feet. The second ribbon is a simple ribbed ribbon found at Michaels or Joann's. 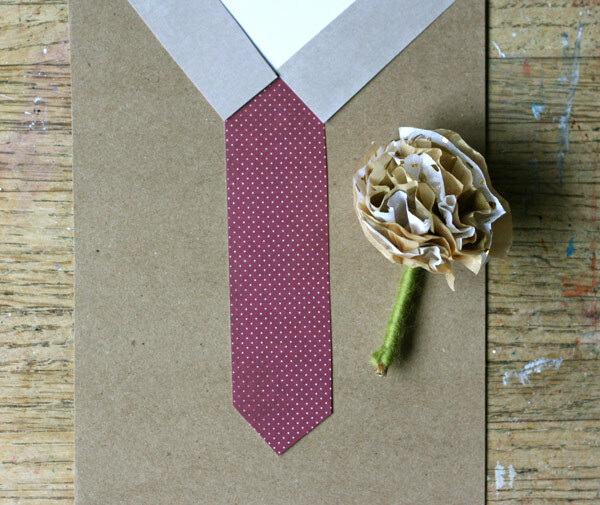 Punch heart on brown polka dot paper. Hot glue. I think you could do all of these boutonnieres for a group of 10 men (maybe more) for around $30. This doesn't include gas finding all the right materials. Oooor the items you'll buy when looking for the right materials. 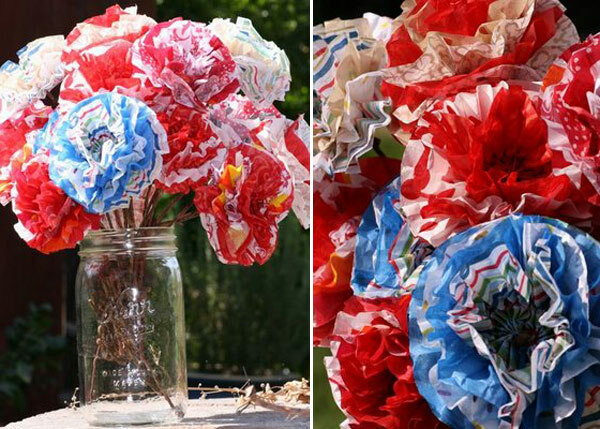 You know those paper tissue paper flowers we would make as children? I revisited them recently and was incredibly (and pleasantly) surprised. I am a tissue paper collector and just combined patterns I thought would be pretty together. What's great about these as a DIY flower is that they are abundant. A lot of the fabric and paper flowers that I make are detail in focus and actually don't take up much *space. 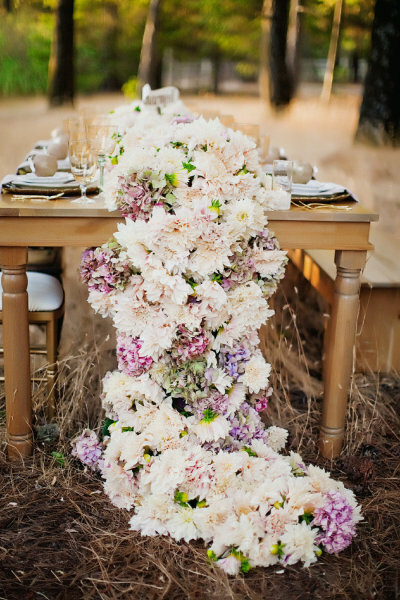 * Really abundant feeling flower arrangements do the opposite. The tissue paper flower is full and expansive. It also isn't horribly intimidating, which is great when you're asking your friends to help. Great places to find tissue paper. For individual: Paper Source & The Container Store. 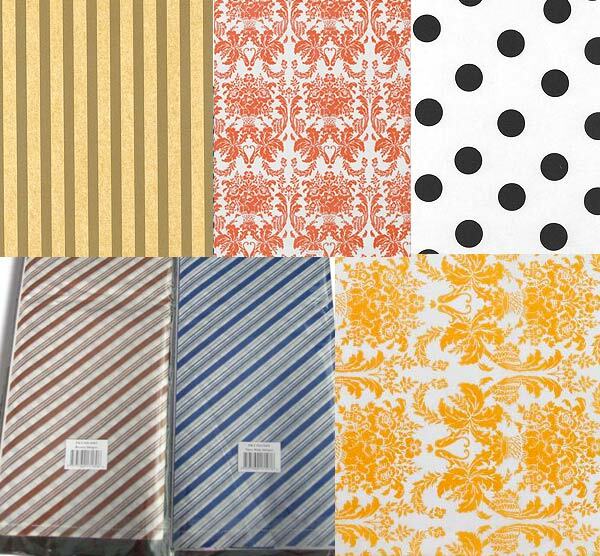 For bulk: All Express, Bags & Bow : Gold Stripe upper left, Red Damask, Mimosa, Black and White dots. 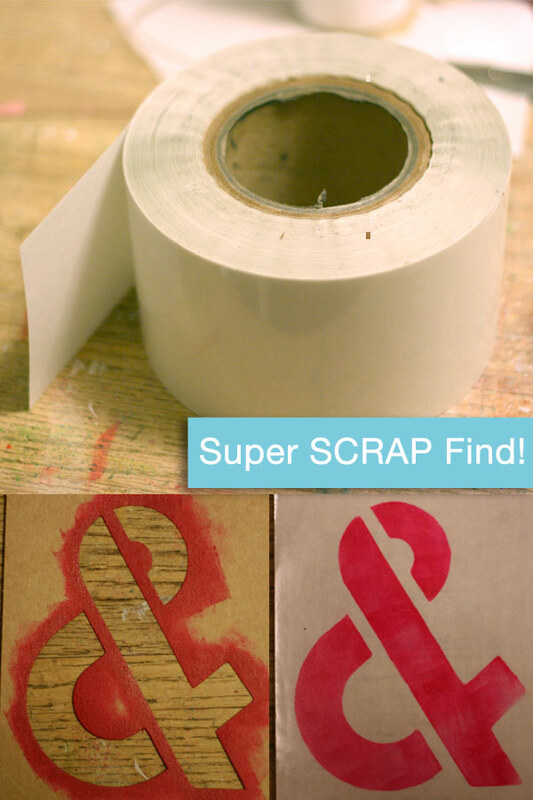 If you are doing a DIY wedding near Portland, OR, you don't want to miss out on the amazingness that is SCRAP ACTION. This ship is a thrift store of craft materials and if you're wanting a creative wedding, this is a must-go place. And if you're still designing your invites, you won't want to miss out on this week's Super Find. Next to the front door they have rolls (some pretty big) of sticker paper. So not individual stickers but a ROLL of sticker paper. The one I brought home was about 5 inches wide and transparent. So I decided to whip up some save the dates. All you need is a stencil, a sharpie, some cardstock, transparent paint (I used fluid Golden Quin Magenta), and foam make up sponge, and there you have it. If you didn't want all the by-hand look, print out some simple cards with the names and date on them and then add the transparent & over the top. There are a large range of stencils out there and anything is possible when it comes to working with transparent layers. I have no idea what I was doing before this picture, but now that I've seen it, I'm staring. Pure abundance. Amazing. I love wire. Bending it is really hard on my fingers and wrist so I try and keep it to a minimum, but maybe I should start these bad boys NOW for let's say, Christmas ornaments or package tags. They'd make great card decorations or birthday. 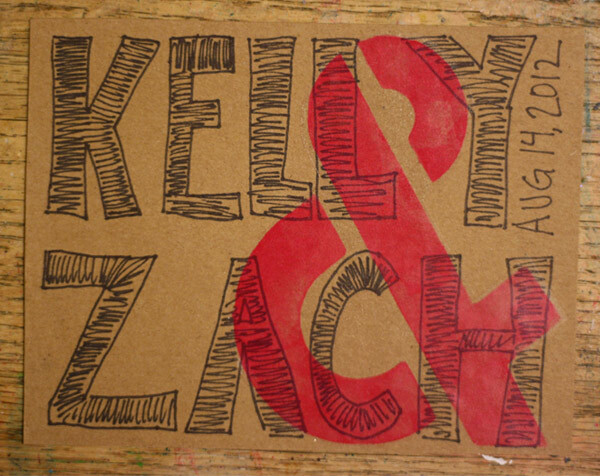 Ooooh: Wrap one into a friend's name and then hang it from a birthday balloons. Or make it into shapes and then add a pin or clip for a shirt or hair. Creative altars are the best. Also, why are doorways in every wedding ever? Such important questions to consider. Also please consider how fantastic these flats + chalk = sign signage is. I will never get tired of the tiny hot hair balloon. NEVER. In fact, it will be a birthday party or a 4th of July party motif. Maybe 32 will be hot air fantastic. I source all my images (seriously follow the links and enjoy!) However if you see an image you created and think, "This shouldn't be here" please write me and ask me to take it down. It shall be done! Feel free to use any of my original images on your non commercial site. Please just source them as well. 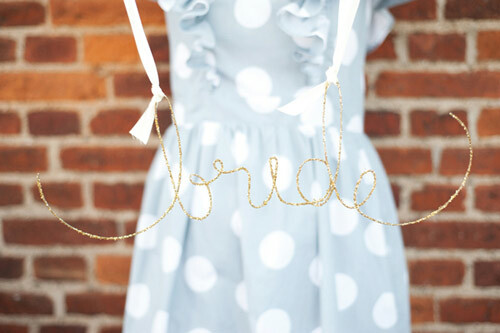 Wedding Bee blog on DIY resources.